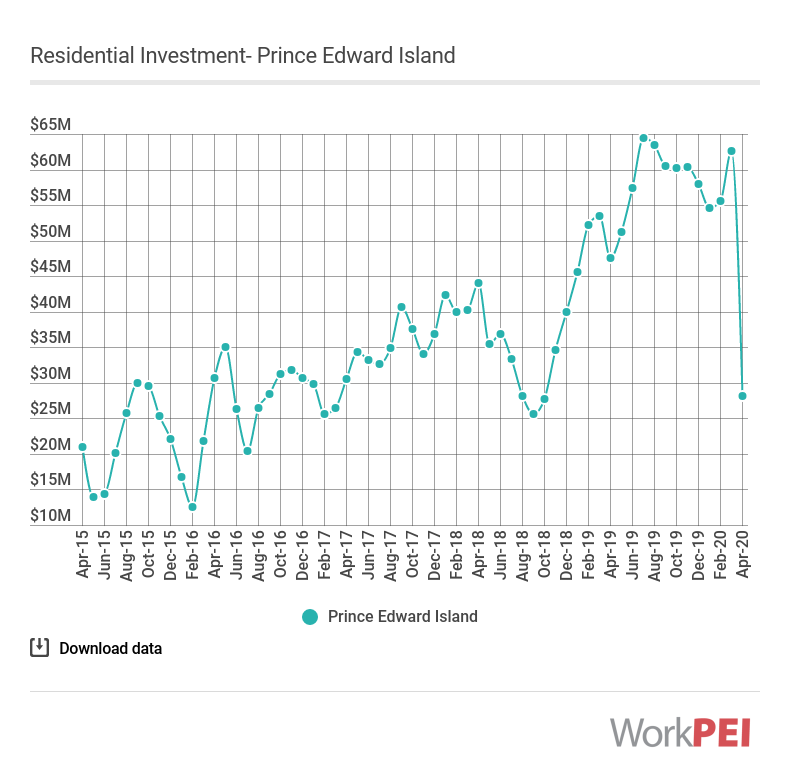 Residential investment increased in Prince Edward Island from $92,184 million in the second quarter of 2017 to $111,071 million in the second quarter of 2018, a year-over-year increase of 20.5%. 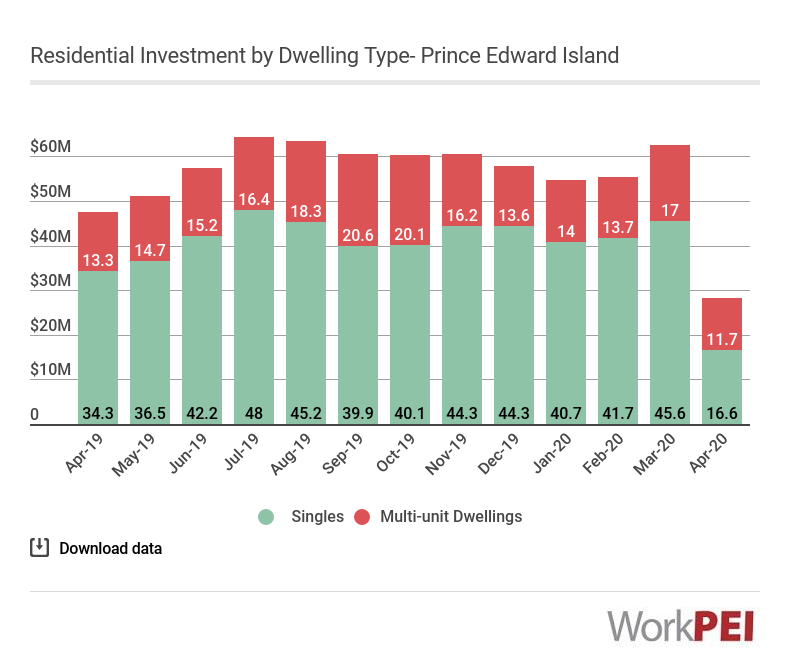 Canadian residential investment increased 7.8% over the same period. 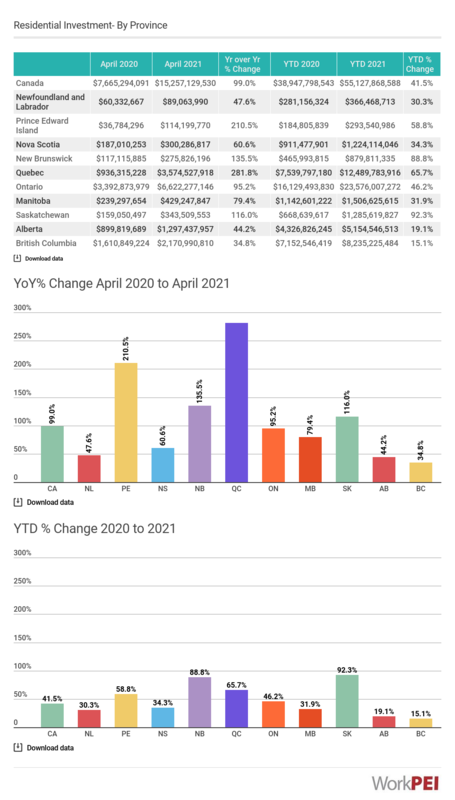 Adapted from Statistics Canada, Table 34-10-0010-01 (Residential construction investment). This does not constitute an endorsement by Statistics Canada of this product. Represents the spending value for individuals, enterprises and governments in the construction of new residential dwellings, renovation work and the acquisition costs pertaining to new units built.